Let us not give Castro the resources he needs to continue his regime’s 56-year reign of terror on his own people, and his continued support for terrorists and terrorist states. 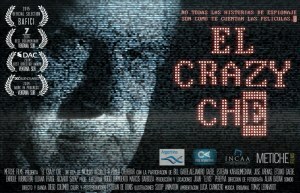 To enrich and solidify that dictatorship at this time only prevents the Cuban people from being able to forge a better life through elections in a few years, now that they are finally “on the one-yard line,” when the Castro brothers, now in their eighties, could simply be left to their natural, un-bankrolled, ends. In a dictatorship such as this, only the dictators benefit. As Sonia Alvarez Campillo was leaving Catholic Mass on July 14, 2013 with fellow members of Ladies in White, her pro-democracy organization, she was assaulted by Raul Castro’s agents. These “security” agents broke Alvarez Campillo’s wrist as well as her husband’s ribs in their attack on her and other members of her group. Sunday after Sunday in Cuba, the Ladies in White (Damas de Blanco) — members of a movement started in 2003 by wives and other female relatives of jailed dissidents in Cuba — have peacefully demonstrated for freedom and human rights in cities across Cuba. They have continually been harassed, beaten, and imprisoned in Raul Castro’s Cuba. In an attack just two months ago, Lady in White member Digna Rodriquez Ibañez was pelted with tar by agents of the regime. The Cuban Commission on Human Rights and National Reconciliation – an organization of Cuban dissidents that the Castro regime claims is illegal — reported that in 2014 alone, 1,810 members of the Ladies in White were detained. The detentions of these extraordinary women are among the total of 8,899 detentions evidently designed to crush political dissent. That figure represents a 27% rise from the previous year. Oswaldo Paya and Harold Cepero were leaders of the Christian Liberation Movement, a political party opposed to Castro’s Communist Party. In July of 2012, Cuban state security agents allegedly murdered Paya and Cepero by ramming into their car and running them off the road, where they crashed and died. The Cuban government officially claims the crash was an accident. But, as documented in the U.S. State Department’s Human Rights Report for 2013, when David Gonzalez Peres, another leader of the Christian Liberation Movement, was arrested, Cuban officials at the jail warned him about what happened to Paya. 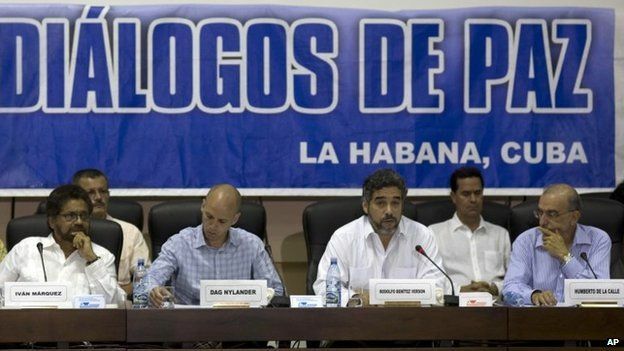 Paya and Cepero were most likely murdered for trying to change a system in which all 612 candidates in a recent Cuban election were members of the Communist Party and ran unopposed, and in which all other candidates had been rejected by the regime. Desde Bratislava, capital de Eslovaquia, el mayor del Ministerio del Interior Ortelio Abrahantes concedió a MartíNoticias su primera entrevista a un medio de prensa desde que el pasado 17 de marzo abandonó el centro de detención Carmichael Rd, en Nassau, Bahamas, donde permaneció preso casi un año.” La República de Eslovaquia me ha acogido como refugiado a propuesta de la Oficina del Alto Comisionado de las Naciones Unidas, ANCUR”, confirmó el militar. Abrahantes asegura que tanto ACNUR como el gobierno eslovaco tomaron en cuenta la “información que poseo en torno a la muerte de los opositores cubanos Oswaldo Paya y Harold Cepero”.” Por esta vía quiero reiterar el llamado a la familia Payá para que me contacte, tengo mucho que aportar a este caso, pruebas convincentes que debo compartir con Ofelia Acevedo, viuda de Payá”. Abrahantes de 43 años alcanzó el grado de mayor en el MININT y al momento de abandonar Cuba en una embarcación en marzo 2014 por el norte de Camagüey, desempeñaba como jefe provincial de transporte terrestre y marítimo del organismo de orden interior enCiego de Ávila. Allí dejo a su esposa e hijos. Ha sido sometido a rigurosos interrogatorios por parte de las autoridades eslovacas, según dijo, “están muy interesadas en lo que sé del aparato militar cubano, lo que conozco acerca de la participación del gobierno de Cuba en el tráfico de drogas”. “Amigos confiables en el extranjero han mantenido a buen resguardo la evidencia que sustentará lo que la familia Payá ha denunciado, que la seguridad del estado ocasionó el supuesto aparatoso accidente en el que murieron Payá y Cepero y que por lo menos Payá, llegó con vida al hospital de Bayamo”. Abrahantes prefirió no hacer comentarios sobre qué pruebas específicamente tiene en su poder e indicó que las hará pública en su momento. Preguntado sobre si tiene planes de viajar a Estados Unidos, dijo que “de inmediato no, pero puede haber sorpresas, todo es possible” Por ahora, ya inició una nueva vida en Eslovaquia, que fue parte de la Checoslovaquia comunista, “y que conoce la represión, la censura de libertades civiles, y los desmanes de la policía política que tuvo nexos estrechos con el régimen cubano”.El frío, la barrera del idioma, en fin, “son muchos los obstáculos a sortear, pero soy un hombre libre, y ojo, sin perder de vista los movimientos de la embajada de Cuba, la mano de los Castro es larga”. Congratulations to NY Daily News journalist Glenn Blain and Council on Foreign Relations Senior Fellow Elliott Abrams for having the courage to highlight Cuomo’s recent meetings with senior Directorate of Intelligence (DI) officers Gustavo Machin Gomez and Josefina Vidal. Well done! More narrowly, for Vidal, Machin, and the rest of their DI brethren, the New Yorkers are simply known as “targets.” Ever the opportunists, the DI seized upon Cuomo’s outreach to conduct an Influence Operation. This type of intelligence mission subtly and skillfully uses agents, collaborators, sympathizers, and the media to promote a nation’s objectives in ways either un-attributable or marginally attributable to that power. 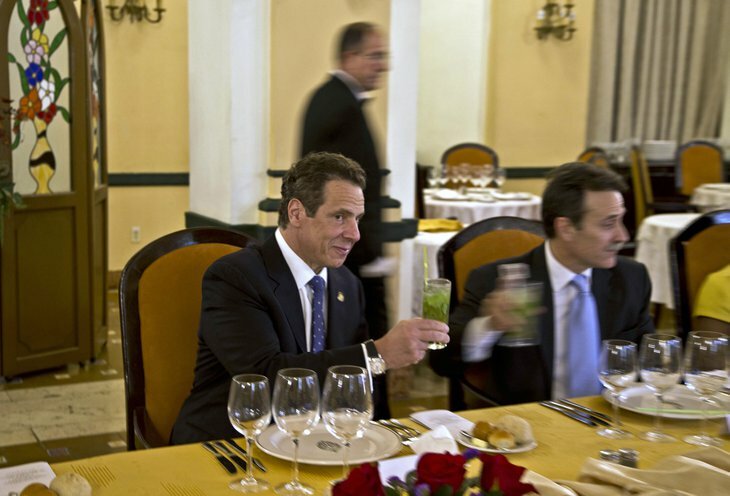 Thus, Vidal and Machin get to cultivate a relationship with Cuomo, the governor of the state that hosts the largest Cuban spy base in the United States: the Cuban Mission to the United Nations. Concurrently, the executives will also be the focus of traditional espionage targeting as – according to US government records – Havana is second only to Beijing in the conduct of economic espionage against the United States. It’s truly frightening how easy we make it for the Cubans to spy against us. Editor’s Note: According to knowledgeable defectors and émigrés, the Hotel Nacional – where important foreign visitors stay — is wired for video and audio surveillance on the 7th floor and above. There is probably no one with a greater interest than Victor M. Gerena in the talks underway between the U.S. and Cuba about re-establishing diplomatic relations. In 1983, he and other members of a group of Puerto Rican nationalists — a group armed, advised and financed by the Cuban government — stole $7 million from a West Hartford armored car depot in what was then the biggest cash robbery in U.S. history. The Cubans sneaked Gerena into Mexico City. They stashed him in a safe house, lightened the color of his hair and gave him a phony diplomatic identity. 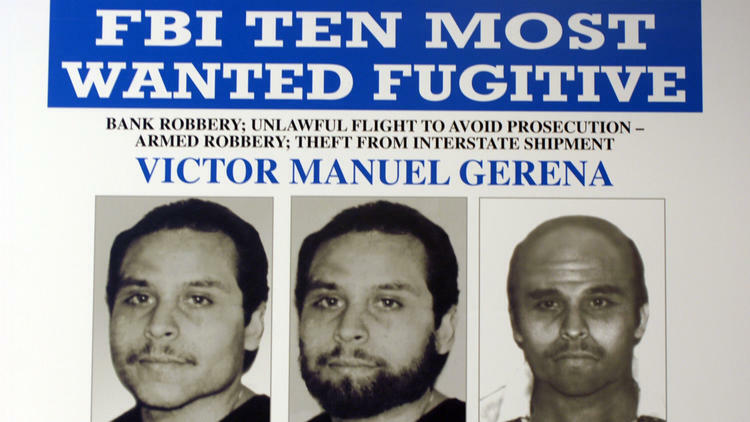 Eventually, they put him and much of the money on a plane to Havana, where Gerena disappeared into the shadowy community of murderers, bombers, robbers and hijackers Cuba has sheltered from prosecution in the U.S and other countries since the 1960s. For decades, the U.S. fugitives hiding in Cuba have been of little interest to anyone beyond a handful of journalists, law enforcement agencies and the families of their victims. But as President Obama presses an effort to reopen embassies and lift credit and trade restrictions, the fugitives have been discovered by critics and are emerging as a potential impediment to normalization. Last week, Obama said he intends to remove Cuba from the government’s list of nations that sponsor terrorism, effectively opening Havana to commercial lenders. Cuba has been on the list for 30 years, with Iran, Syria and Sudan. The last time the state department reviewed the list, in 2013, it decided against Cuba’s removal because of its continued willingness to provide safe haven to fugitives wanted on terror charges. Others want return of the fugitives to be a condition of normalization or, at a minimum, that the fugitives be used to leverage other concessions. 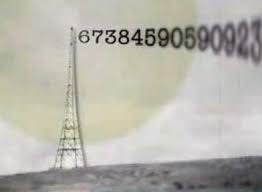 xx28-xx48 broadcasts 20 minutes; xx48-xx54 change of frequencies. Editor’s Note: According to reliable defectors and émigrés, most Cuban spies have moved from HF to internet-based communications. Those still on HF (or morse code in some cases) are technology dinosaurs whom Havana is unwilling or unable to move into the 21st Century. Cuba welcomed President Obama’s decision to remove the island nation from the list of states that sponsor terrorism — a list on which “Cuba never should have been included,” a senior Cuban official said. Josefina Vidal, head of the North American section of the Cuban Foreign Ministry and Havana’s leader of negotiations to renew diplomatic ties with the United States, praised Obama’s “just decision” and said Cuba condemns rather than supports terrorism. “Cuba rejects and condemns all acts of terrorism in all its forms and manifestations, as well as any action that has as its objective the encouraging, supporting, financing or covering up terrorist acts,” Vidal said in a statement released late Tuesday. She said her nation had been the victim of terrorism rather than its promoter. She was alluding to efforts by U.S. and Cuban opponents of the Castro governments to overthrow or destabilize the regime, including the U.S.-backed attempted invasion at the Bay of Pigs in April 1961, which she said claimed the lives of hundreds of Cubans. “The government of Cuba recognizes the just decision taken by the president of the United States to eliminate Cuba from a list on which it never should have been included,” Vidal said. Cuba’s position on the list of state sponsors of terrorism, with Iran, North Korea and others, had been a major obstacle in the improving of diplomatic relations between Washington and Havana, announced by Obama and Cuban President Raul Castro in December. The Castro governments consistently demanded their nation be removed from the list — along with insisting that the U.S. embargo on Cuba be lifted, something that only Congress can do. 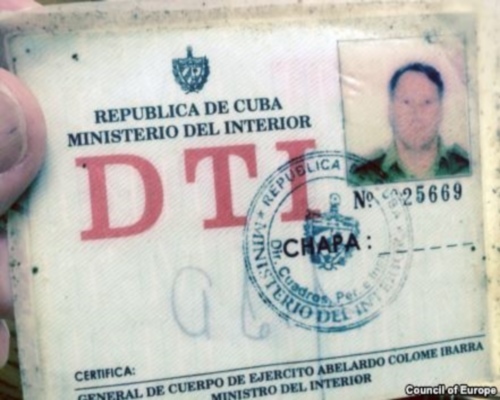 Editor’s Note: Directorate of Intelligence (DI) officer Josefina Vidal left the US in May 2003 as part of the expulsion of 16 Cuban diplomat spies. However, she and another DI spouse were not “officially” declared Persona Non Grata since the expulsion of their husbands made their departure a fait accompli. Additionally, Cuba’s decades-long support to terrorist groups is irrefutable and well documented. In fact — from 1959 until September 11, 2001 — Cuban supported groups conducted more attacks and killed more Americans than any other terrorist groups in the United States. The State Department recommended Cuba be removed from a U.S. terrorism list, another step in restoring diplomatic ties between the countries.